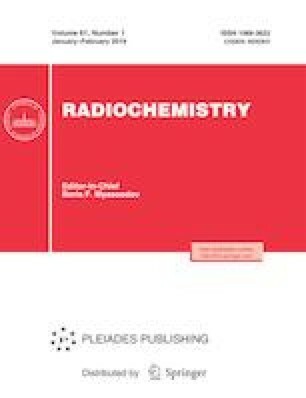 Methodical approach to evaluation of the relative efficiency of various rock minerals in radionuclide sorption is suggested. The approach involves sorption experiments on the surface of polished rock samples, radiographic analysis of the rock surface before and after sorption, determination of mineral phases mainly responsible for the radionuclide sorption and of phases with low sorption ability, and calculation of the relative sorption coefficient taking into account the surface area occupied by the given mineral phase. The approach is applied to evaluation of the performance of mineral phases from rocks of the exocontact of the Nizhnekansky granitoid massif in sorption of Ra, Pu, and Am. The suggested approach allows obtaining data for long-term predictive simulation of the radionuclide migration taking into account variations in the composition of rocks and of the mineral filling of fractures in hard rocks surrounding the radioactive waste repository. Geological Disposal of Radioactive Waste: National Commitment, Local and Regional Involvement, Paris: OECD, 2012. https://doi.org/www.oecd-nea.org/rwm/reports/2012/7082-geo-disposal-statement.pdf.